One of THE best things I have ever done was to take a writing workshop with Nancy Aronie. She believes creativity requires safety. And it does. We all have a story and Nancy coaches it out of us by inspiring us to put it on the page. Get the rawness down. Put the emotional brokenness on the page. If you have been wanting to write or are already a writer and want to find your authentic voice, this workshop is for you!! 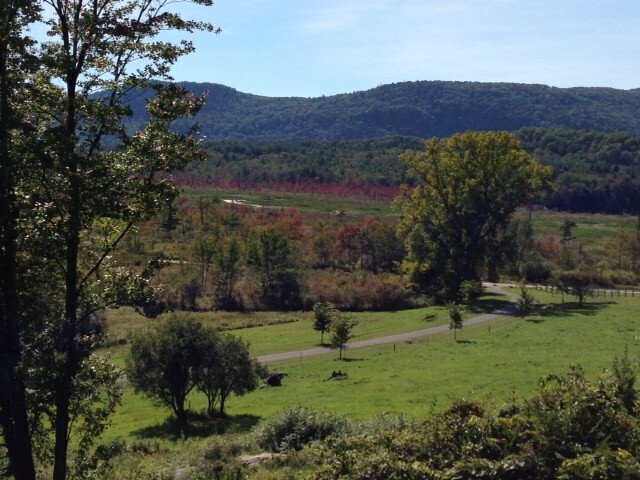 I was so INSPIRED by Nancy that I invited her to do her workshop at my home, Boulderwood Farm. She is so excited to come to Stockbridge, MA in early January, 2015!! The only requirement she asked of me was to make sure there is snow. So, I am already praying to the snow gods!! Please join me and Nancy Aronie for a weekend retreat. We will begin on Friday evening with opening remarks from Nancy and a casual supper at 7pm. On Saturday, we will write and read from 9-12, break for lunch, and reconvene for some more writing and reading from 1-5. Everyone will be on their own for dinner. Sunday, we begin at 9 and finish at noon with Nancy's traditional bread breaking. Workshop Fee: $475. Includes Welcome Dinner, Coffee, tea and snacks both days, Lunch on Saturday and yummy homemade breads on Sunday. If you are coming from out of town, I can provide acoomodations at Boulderwood for $125/night single occupancy or $75pp/double occupancy. Boulderwood is a wonderful c.1900 shingle-style home set on 80 acres. We have horses, chickens, cows and a border collie. Our living room has the following quote carved in the cornice of our living room: "And this our life, exempt from public haunt, finds tongues in trees, books in the running brooks, sermons in stone, Good in Everything." Shakepeare, As You Like It. Between the setting and Nancy's coaching, you are in for a treat!! Please call Carole at 413-298-0173 to reserve your spot. We can take credit cards over the phone, via our webstore or if you'd prefer to send a check, please make it out to Heirloom Meals and send to: Carole Murko, PO Box 1532, Stockbridge, MA 01262. We've been in planning mode at Heirloom Meals. Working on a book proposal and developing a social media plan. In the meantime, check out Carole's recent article in Zester Daily about how an amazing cleanse taught her how to honor her food. Carole will be apprearing on Newchannel 13, Albany, NY's NBC affiliate on Sunday, June 29th around 8.30 AM. Tune in or check back for the video. Carole will be back on Nantucket at the Westmoor Club on July 20th-23rd - we will be working on a Heirloom Recipe scrapbook for the members. And, we have been working on developing a calendar of cooking classes and retreats at Boulderwood. So far, we have a four-day retreat planned with an amazing healer, Pat Caffrey, a writing workshop with Nancy Aronie and many more in the works. I am so pleased to announce a collaboration between Heirloom Meals and Pat Caffrey/ Angelic Council of LIGHT. Heirloom Meals will be hosting Pat's Retreat at Boulderwood. For eons humanity has believed it was separate from everything in the universe, including each other. Now that you are reaching the evolutionary phase of transition to a higher level of being, we find it necessary to celebrate the Rites of Passage to help you walk into a new experience of yourself in this world. You are not soul OR physicality; you are BOTH. You are moving from an experience of separation to unity. It will no longer be two different worlds. You are actually raising the vibration of your physical bodies to incorporate your soul into this world. It is with these Rites of Passage that we will celebrate you as the new, luminous, human being. The Six Sacred Rites of Passage will be conducted with understanding and awareness, connection with the realm of your spirit/soul, and direct physical experience in this world. We will use meditative techniques, education, and energetic touch to ignite the transition from spirit to physical being. Your Sacred Soul is the essence of who you are. It is the consciousness of all that is seen and unseen. It is the part of God that is YOU. It is the individuated part of you, as separate from the whole. Sacred Fire is the burning passion that resonates with the soul’s purpose in this life existence. It is the spark that lights the heart into life. It is the process that fuels your physical heart. It is the resonance that is closest to your own soul’s purpose. When you feel this in your life, it is the sign that you are as close to your soul’s purpose as you can be. The Sacred Heart is the physical/non-physical container that holds the Sacred Fire. It is the furnace that warms the body and experience of life as a physical being. It is the connector between the spiritual realm and physical experience. It is the direct-connect to “home”. The Sacred Contract is the agreement your soul has with your greater consciousness, higher self, or God. It contains the lessons you choose to experience in this life experience. Your Sacred Vessel is the “physical” vehicle you experience life with in this world. It is actually a matrix of light. That light is interpreted with your physical eyes as the body. You are not IN it; you ARE it. It is the holographic, multidimensional image that you know as you. The Sacred Union is the binding with or alignment of your Sacred Soul with your Sacred Vessel. It has been believed that you are one or the other, but not both as one. It is time to merge and BE this union. Are you ready to receive the six sacred rites of passage for humanity while visiting on one of the most magical places in the United States? In April-May, 2015, we are delighted to offer a four day workshop with Pat Caffrey and The Angelic Council of LIGHT. 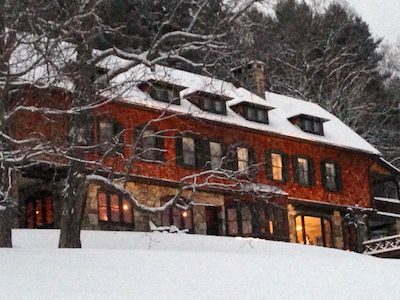 In this extraordinary home called Boulderwood, in Stockbridge, Massachusetts, The Angelic Council of LIGHT will share with us The Six Sacred Rites of Passage for Humanity. Be part of these life-changing Sacred Rites. For sure, this will be a major milestone on your spiritual journey. “Pat Caffrey is, I believe, one of the greatest spiritual teachers and healers working in America today....in the unlikeliest of packages. Pat has not spent years wandering around India looking for a guru, nor does she speak "New Age lingo", nor is she touchy-feely. She is a down-to-earth, pragmatic and no-nonsense New England mother and grandmother. A thirty-year veteran of Emergency Room nursing, she has just about seen it all. This gift (embodying the Angelic Council of LIGHT) came to Pat unexpected and uninvited; and her reverence for her bewildering gift comes through in her work……….Testimonial from workshop participant (California). Pat was an RN for many years, working in the world of emergency medicine until she experienced a back injury, which left her paralyzed and disabled. She had a miraculous out-of-body healing experience that led her to learn all she could about healing, physically, mentally, emotionally and spiritually. She worked her way back to health and dedicated her life to showing others that they have the power to heal on all levels. She is a message of Peace and Compassion. She now embodies the Angelic Council of LIGHT, which includes beings of the Angelic Realm and Ascended Masters. Because of this unique connection, they are able to see and feel you and you can see and feel them. They are Grace, personified. She/They are a vibration of love in the form of light that will reawaken and “light up” the heart/soul that is you. She does this with spoken word, mudra, and touch of light that will spark your remembrance of who you are. It is at this space where all healing takes place. This loving vibration produces a transformation of body, mind and spiritual essence. She has studied for many years with teachers and masters in this world as well as Masters and guides in the inner dimensions and has mastered the art of living in different dimensions, simultaneously and consciously. She brings wisdom from places such as Peru and Tibet, where she was recently gifted with a mudra to open the hearts of man. It is with the use of this high vibrational energy that she facilitates the restoration of the hearts of participants in workshops and healing sessions. All sessions are filled with compassion and deep love. In a group session she speaks, answers questions and holds this mudra so you may awaken in it. She also facilitates a powerful healing modality, done privately, which aligns the tissue with the vibration of light. Long dormant codes of light within the DNA are awakened, bringing transformation on all levels. The truth within is exposed, removing blocks and patterns so lifetimes of healing can take place. Workshops are intensive, personal, interactive and life changing. Pat is an international speaker and has also presented for groups and venues in the United States, such as A.R.E., Association for Research and Enlightenment (Edgar Cayce Center) and United States Public Health Service in Dallas, TX. She also speaks and facilitates groups and programs worldwide. She is a teacher, author and facilitator of her own unique groups and programs. She has produced several CDs containing messages from the Council. She is the author of “On Feet of Light”, a Spiritual Journey and “The Sparkling Rainbow”, a teaching guide for beginners. She is presently working on her next book, filled with wisdom from the Angelic Council of LIGHT. Carole has always been highly spiritual. Through a series of minor illnesses and a desire to become more connected with the divine, Carole sought healers and was guided to work with Pat. Carole shares that her many session with Pat have helped her heal wounds carried in her spirit DNA. So much so that Carole learned she is an earth angel. Pat has guided her to step into herself fully. Nancy Lee is an herbalist, healer and intuitive. She believes that foods contain healing energies. She also believes that everyone should treat their bodies with absolute reverence. As such, by honoring both the food we consume and our vessel, we become whole beings and truly grounded. Nancy combines several cooking styles from macrobiotic to ayurvedic. She will bring all her wisdom to bear on the meals she creates for us during the retreat. 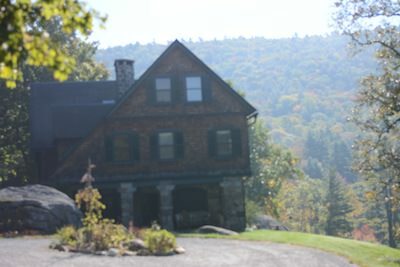 Carole is blessed to live a magical life with Jim Finnerty, their border collie, chickens, horses and cows on an 80 acre estate in Stockbridge, Massachusetts called Boulderwood where the retreat is being hosted. Nestled on a hillside with distant views and surrounded by Beartown State Forest, Boulderwood offers the perfect blend of homey comfort and stately charm. The landscape is scattered with boulders, large and small. These boulders hold a wonderful energy as does the house. Many people claim they get the best night’s sleep. Carole calls it the Boulderwood sleep coma. - Welcome dinner, snacks, beverages and lunch each day, and a departing dinner. Cost: $795 (taxes and fees included), pricing does not include rooms. 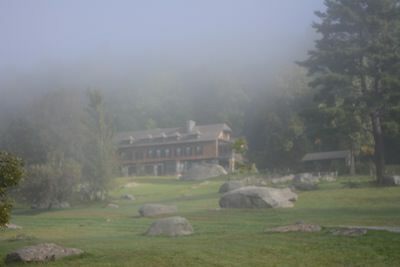 Should you wish to stay at Boulderwood, the cost per night is $125 single occupancy. If you share a room it is $75pp. Continental Breakfast included. Please call Carole at 413-298-0173 to provide credit card information or click on this link. Note: The Six Sacred Rites of Passage for Humanity workshop is limited to 20 attendees.